I normally do a few warm up exercises before I get started on the proper work. 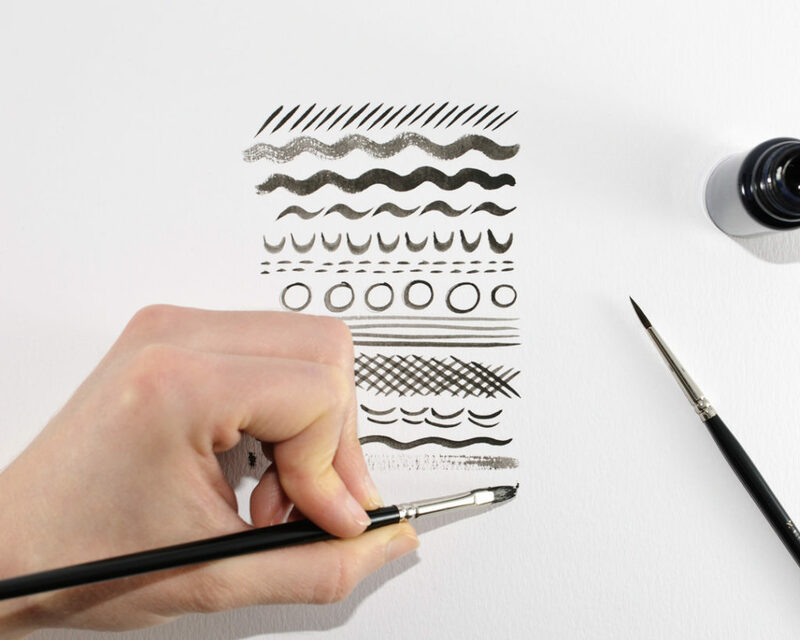 I draw with brush and ink; real brushes with real bristles and a pot of no-nonsense, black ink - spill this and you’ll know about it (I once tipped over a whole pot onto my desk, chair, floor and me - my striped top has never looked the same again.) The reason I wanted to share this with you, is because lately a few people have mistakenly assumed that my work is created on a computer and I thought I’d put them straight. This also made me question why, in this day and age, I still draw the way I do when there are programs, tablets and touch screens to use that would mean I’d never have to have inky fingers ever again. Surely it’d be so much easier if I just embraced technology and started drawing on the computer instead? But while there’s no shame in doing that, I personally have chosen not to. Let me tell you why and hopefully you’ll come away with a bit more of an understand of my creative process.